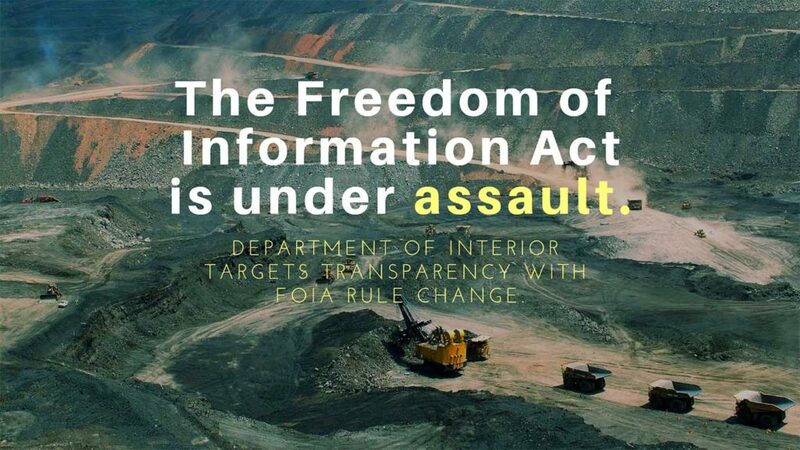 Department of Interior’s proposed modifications to the Freedom of Information Act will make it much harder for the public to access information. On December 28th, the Department of the Interior (DOI) quietly released a proposed rule that would seriously undermine the public’s ability to request and obtain records from the federal agency. Under the Freedom of Information Act (FOIA), a critical law that ensures government transparency, Americans have the right to request and obtain access to government information from executive branch agency records. The proposed rule changes would go beyond what any other agency has ever adopted or proposed and give DOI almost unlimited discretion to approve or deny FOIA requests. From the language of the Federal Registry notice, it seems highly likely that the agency does not intend to encourage transparency. Currently, federal agencies have to honor all records requests, regardless of the amount of time and resources required to search for records. FOIA requires full transparency and does not allow agencies to selectively censor information. Allowing this change would run counter to the purpose behind FOIA. Records uncovered using past FOIA requests have revealed Interior’s close ties with energy industry groups, as well as several possible ethics violations. Blocking transparency and public access to information appears to be exactly what DOI intends to do. DOI stated that, in “light of the unprecedented surge in FOIA requests and litigation,” it seeks to deny “burdensome” or “vague” requests, or those that require “the bureau to locate, review, redact, or arrange for inspection of a vast quantity of material.” Additionally, Interior would be able to impose a monthly limit for processing records needed to fulfill FOIA requests, even though the law requires agencies to provide records at no cost to organizations intending to use information to advance the public interest. These proposed changes will have a direct and devastating impact upon the ability of organizations like WORC to monitor agency actions. In fact, Interior’s current Chief FOIA Officer who is responsible for crafting these proposed changes is Daniel Jorjani, formerly employed by the Koch Brothers. Typically, a career staffer would fill this role, not a political appointee. Help WORC oppose DOI’s radical and undemocratic changes to this bedrock law. Records uncovered using past FOIA requests have revealed Interior’s close ties with energy industry groups, as well as several possible ethics violations. Blocking transparency and public access to information appears to be exactly what DOI intends to do with this proposed rule. This proposal is an attempt to shield the agency from scrutiny, at a time when we should be more closely than ever tracking its actions. 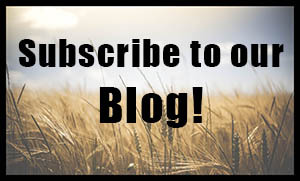 Please help us fight the proposed changes to how the Department of the Interior will handle future Freedom of Information Act requests. Click here to oppose DOI’s radical and undemocratic changes to this bedrock law.